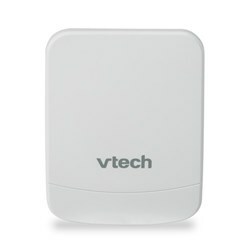 The VTech DM271-110 Baby Monitor with DECT 6.0 digital technology provides crystal clear transmission, eliminating the annoying white noise you hear from analog monitors. The monitor is equipped with ULE (Ultra Low Energy) smart home sensors to make taking care of baby easier than ever before. With the open/closed and motion sensor alerts on doors, cabinets and open spaces, parents can keep close tabs on their baby as they go about their day. The unit also comes equipped with features to help soothe baby during naptime, including a glow-on-ceiling night light that projects the moon and stars onto the ceiling, and capabilities to play a gentle lullaby as baby drifts off to sleep. The monitor also features a two-way, talk-back intercom, and up to 1,000 feet of range, so parents can stay connected from any room in the house as they go about their day. 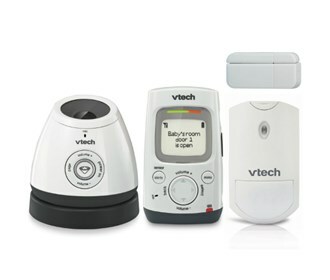 The VTech DM271-110 has many exciting features for users of all types. 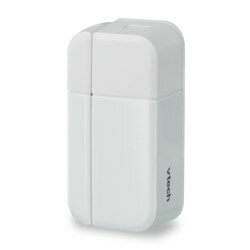 See the VTech DM271-110 gallery images above for more product views. 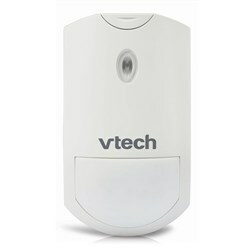 FactoryOutletStore stocks a full line of accessories like Sensor for the VTech DM271-110. The VTech DM271-110 is sold as a Brand New Unopened Item.